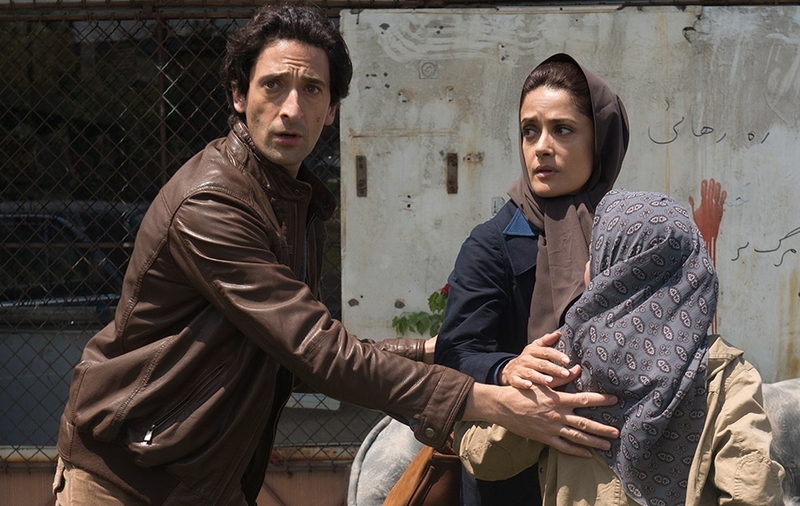 “Septembers of Shiraz” is a gripping, provocative, and a powerful cry for freedom. The 1977 hit “Staying Alive” is heard as background music in a gathering of a wealthy, secular Jewish/Iranian family in Tehran - when the Iranian religious revolution overthrew the Shah of Iran. The Amin family is celebrating the farewell to one of their sons, who was sent to study abroad in Massachusetts. At that time, many families were prosecuted - their only crime was to be a hard-working, wealthy, and educated people with some occasional approaches to the overthrown government. 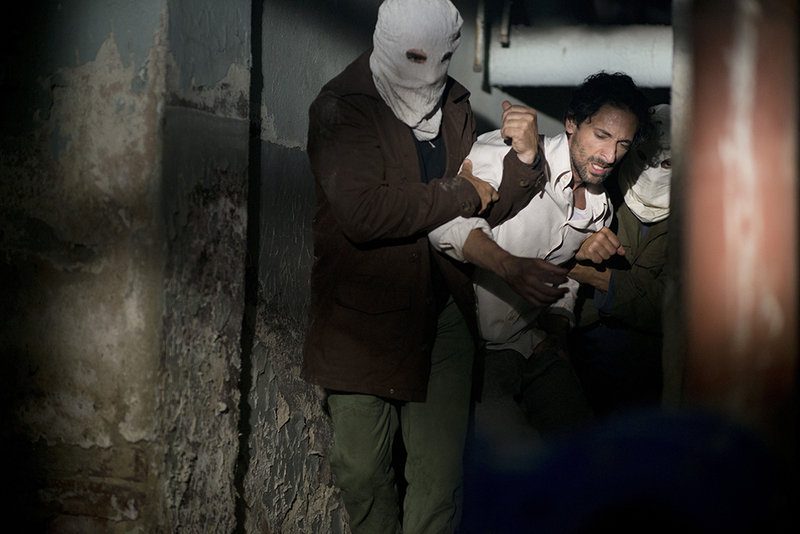 The Oscar® winning actor Adrien Brody is terrific as Issac Amin, his character’s arc starts as a businessman and father figure, then he becomes a prisoner and a victim of torture. His suffering makes him value life more than any material possessions. Soon after, he negotiates his freedom and his family’s safety. 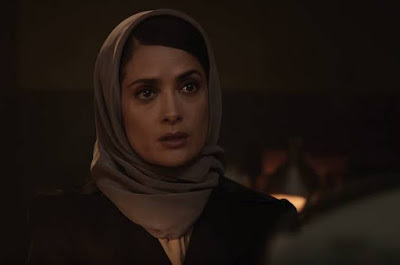 Oscar® nominee Salma Hayek-Pinault plays his devoted wife, Farnez, an Iranian Jewish woman, who has an opinion and a voice, and as a woman in Iran, those skills are against the revolution. She is an ideal housewife and a loving mother of two, who writes in different magazines about the lifestyles in foreign places, something that the fundamentalists consider indecent and subversive pieces of propaganda. The Oscar® nominee Iranian actress, Shohreh Aghdashloo (“House of Sand and Fog”) is terrific as Habibeh. She is the woman who helps Farnez with the house labors and with some moral issues as well. 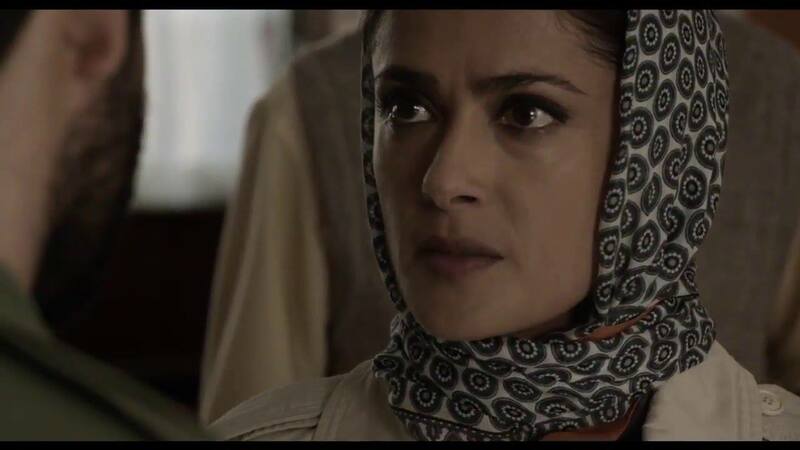 Her son Mortesa (Navid Navid), soon becomes the “Judas,” of the story. He is the one who betrays everyone including his own mother and even the revolution. 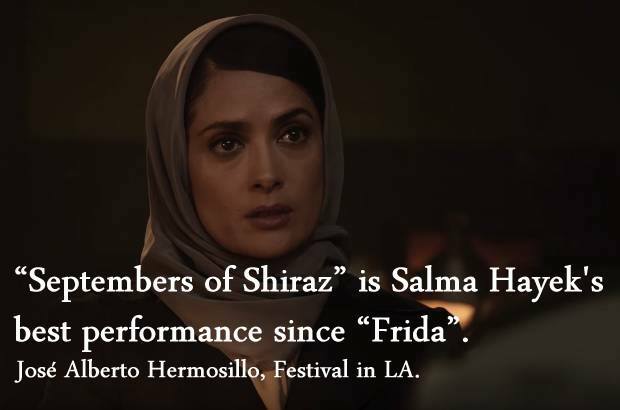 This film is based on the best-seller novel by Iranian-born writer Dalia Sofer, who emigrated to N.Y at the age of eleven. The film was adapted for the screen by a Yale graduate Hanna Weg. 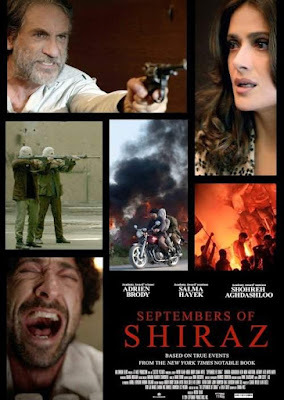 The Australian director Wayne Blair (“The Sapphires”) in “Septembers of Shiraz” keeps the actors’ performance in an under-tone to make a contrast with the dominant images of torture and repression. The music by Mark Isham is discreet and capable of accentuating the actors' emotions. With only a few musical tones the dramatic momentum doesn't exceed of the story. 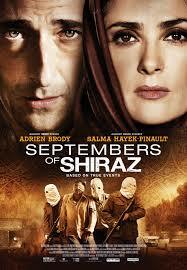 The film reconstructed the 1970's period in Iran for precision, the production value of this film is exceptional. “Septembers of Shiraz” was shot in Bulgaria. Knowing their craft very well, they came out with a remarkable production. 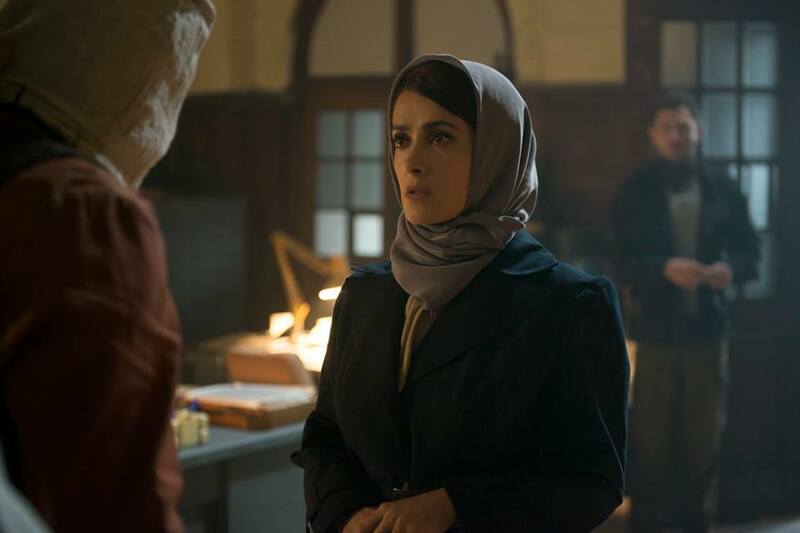 In 2012, Hollywood tackled the Iranian conflict for CIA agent Tony Mendez (Ben Affleck), who helped rescue US diplomats out of Tehran in “Argo.” The best picture Oscar® winner created some controversy regarding the nationalities and the background. It is almost impossible to have all talent from the same origin. “Septembers of Shiraz,” regardless of the nationalities of the actors, has the feeling of authenticity, it may be a little predictable towards the end, but clearly illustrates the struggle of this family who helped many, by giving them jobs and a brighter future. In the revolution many were prosecuted and killed, in the film, we learned that people from different classes don't mesh well. They betrayed their own people. We have to remember that there is a lot of ingratitude in this world. The fundamentalist Iranians like to call themselves “brothers” even though they torture and kill each other. This essential film is about family, that is why there is a dedication to all the families of the world who have endured prosecution is mentioned in the end credits. 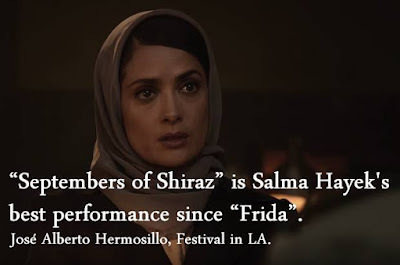 “Septembers of Shiraz” is a remarkable story whose intention is to restore human dignity in the world.